Wickersley School & Sports College PE Hoodie - APRINT for Custom T-shirts, Screen Printing, Embroidery personalising Workwear, Schoolwear. 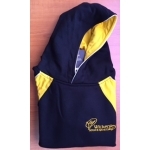 30"/32" 34"/36" 38"/40" 42"/44" 46"/48"
Black & Yellow Unisex PE Hoodie. Sizes from 30"/32" to 46"/48". 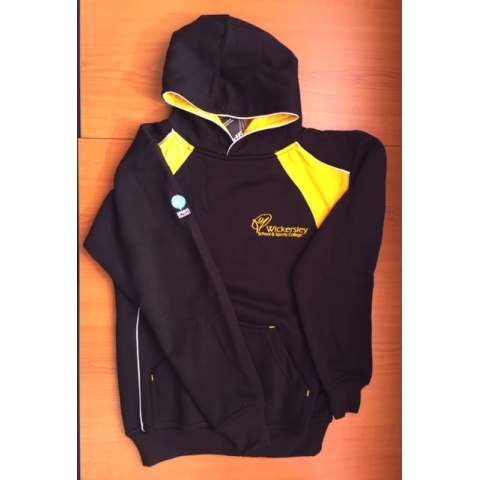 Item can be personalised with students name. There could be up to a 12 week delivery on these garments due to the manufacturing process. Early ordering is advised. SAMPLE SIZES FOR TRYING ON ARE AVAILABLE NOW. If personalisation is required it is either initial & surname or just surname. This has been stipulated by the school so every student is the same. 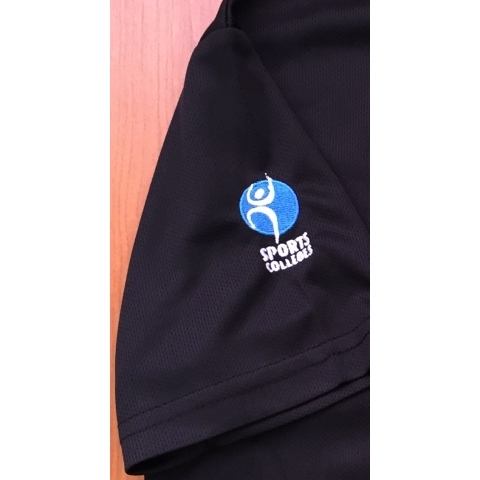 Personalised garments MUST be paid for before being processed and can not be returned after personalisation so we do advise trying on first.